Exciting news for those, like me, who are contemplating a 7/8″ estate railway in the garden and looking for something small to pull their stock. Jason Kovac at The Train Department has teamed up with David Fletcher, with plans to bring a 7/8″ (1:13.7) scale model of a Decauville Type 1 3-ton locomotive to market. 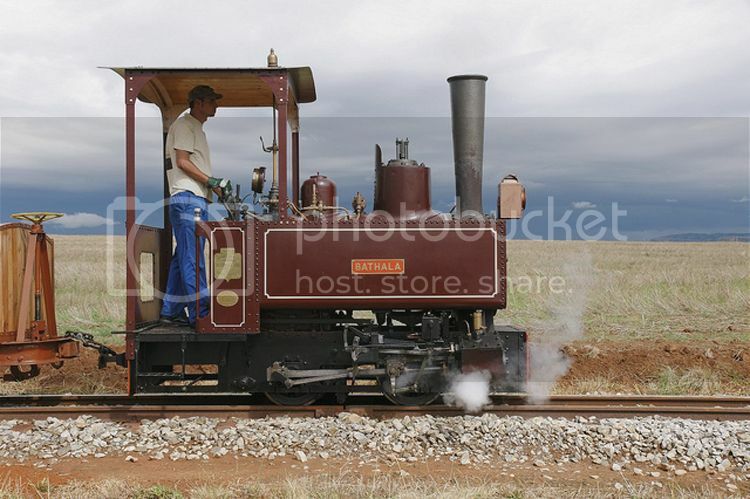 The model will be based on measurements and drawings of a restored locomotive at the Sandstone Estates in South Africa. This butane-fired model will be available in Maroon, Green and Black. While the website doesn’t explicitly state it, the model is listed on the “Accucraft” page so it’s safe to assume that Accucraft is the builder. The model will be gauge adjustable for both 32mm and 45mm railways and at just over 8″ long and 7″ high, it’ll be perfect for puttering around an estate railway or small industrial line. Pricing and delivery to be finalized so I won’t provide specifics on either here, other than to say “Contact Jason if you’re interested”. This entry was posted in 7/8ths Estate Railway on July 27, 2015 by Trevor. 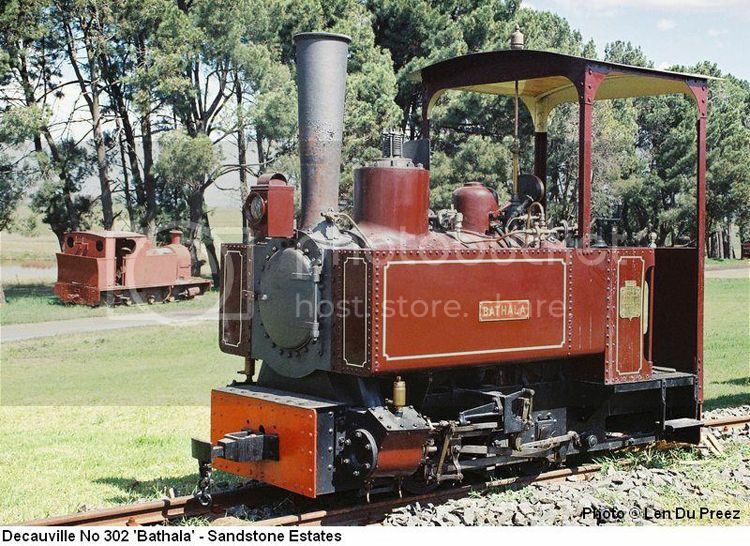 I would wish to use the picture of Decauville No.302 ‘Bathala’ on a page in our forthcoming show guide. To whom should I seek permission? Do you know? The Association of 16mm Narrow Gauge Modellers is a Private Company Limited by Guarantee. Registered in England and Wales No. 3117166. No idea. I suggest you contact Sandstone Estates in South Africa. As noted in this subsequent post, the Decauville locomotives have arrived! They’re beautiful although at this writing they do have some steaming issues. That said, Accucraft is producing a fix for Decauville owners, and the live steam community is developing its own fixes to make these run as nicely as they look. As a further update, in July 2018 I was able to fix most of the problems – possibly, even, all of them. I won’t know for sure until I test-run it.